God and the New Musics (Owl City – Galaxies) – Would You Worship God in Music Like This? Around 1996 – 1998, as a teen, I began to search for electronic forms of music that were fun and not too technical. I also wanted the music to be positive, full of life, and have some resonance with my values – especially in respect to a Creator, God of the Universe. Sadly, I never found that music I was looking for back then. In the electronica soundscapes, I liked the sound of Aphex Twin, but the distorted view of life was way to out of this world for me. In the Christian music world, there were people almost where I was pointing myself but not quite there. Bands like Joy Electric, Skillet, and even Jars of Clay sometimes hit on the poetry of life that I was looking for, as well as the fast moving electric music launched a bit off the dock from traditional rock sounds and guitar. The compositions of Joy Electric, while interesting, and done with a synth, were still missing something. I listened in awe of the technical prowess – and at JE concerts, I was blown away by the musical skill. But the poppy fun seemed to be missing. The voice was often harsh and the lyrics weren’t as deep as I’d hoped. 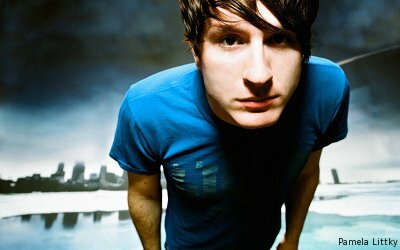 Only recently, I discovered Owl City through Youth Ministry Video Samplers. I put the music on my iphone for running with, and particularly, I have fell in love with “Galaxies” (a song) as well as the entirety of the albums which range in topics from God and faith to Girlfriends in summer and healing from relationship withdrawal and finally environmentalism and sometimes science. I love it. Returning to “Galaxies”, which seems to be a song that uses the imagery of galaxies colliding to express the feeling of loss and despair in life, but then breaks out into a worship chorus about God being the “Only North Star I would follow this far”. And its like candy to the ear. It comes naturally and flows through the person, without any harsh moments or hurting. Its just real, and I want to worship along with it. I’ve experienced God through the expression of sound and lyric. I have one question as I watch this and one statement to follow. The Question: Would you Worship God in music like this? If a church contracted with Owl City, or a band similar in sound and composition, to come in and write songs of worship for your church, or better yet – your whole community. Would you be willing to enter into this musical space and allow God’s spirit to move? Would you glorify God and thank him in this expression of sound? Can you? My Answer: I want to be in a Church that goes beyond music like this – that reaches and creates music worthy of God, and that reaches every ear with goodness. I want to be part of a movement of music that enlivens the soul and brings new people into the presence of the Creator. With clever and true lyrics, expressing our desire to be nearer to God, and writing about what God has done, is doing, and will do! I currently serve in a church that sings traditional hymns. I love them, and they are good things. They once were very cutting edge and they spread because people entered into them and were surprised to experience God in them. They were tunes that people understood, and in the music of the time. If you are a person of God – and a musical person – could you and would you commit yourself to creating and blossoming a musical culture where all people would come and experience something greater than themselves? I suppose the composers of the past have tried – and often found a bit of God’s glory through the resonance of vibrations in the air. How will you express God’s greatness and centrality in your life? What do you sing about? So in conclusion – Thank you to Owl City and musicians across the country who have made the music I’ve been looking for. I’ll try not to over-consume, and I’ll worship God and give thanks for creating people who can make such great compositions. Peace. So basically, his concern is, what will the church look like in the future, who will be allowed to lead, and how will we meet our challenges as a church. If you are at General Conference, share your thoughts so far in the comments below. If you are not, I suggest you check out the General Conference page at http://www.umc.com for some great resources and connections. I love this video. Watch and read my thoughts below. I’ll be honest. All the missions trips that folks go on have pictures of little children (usually of color, definitely of another ethnic origin), who are living in poverty. No doubt, the work that is being done is good, but there is almost always a greater picture than what is presented at the Missions Lunch Debriefing. Perhaps it is partly our heritage and traditional views, and the ethos presented in Western Film and Photography, but we have a small picture of the world outside (unless we have traveled thoroughly). I’ve been concerned when Short Term Missionaries come back after a week with photos of the people they are helping, especially in connection with the stories. People burst into tears talking about the poverty in other lands, but when it comes to poverty in our own areas with people of our own culture, we are often not as emotional. I sometimes wonder if people from other countries go into our inner cities and poor rural areas, and come back with pictures of children in America who are impoverished in the Appalachian mountains? 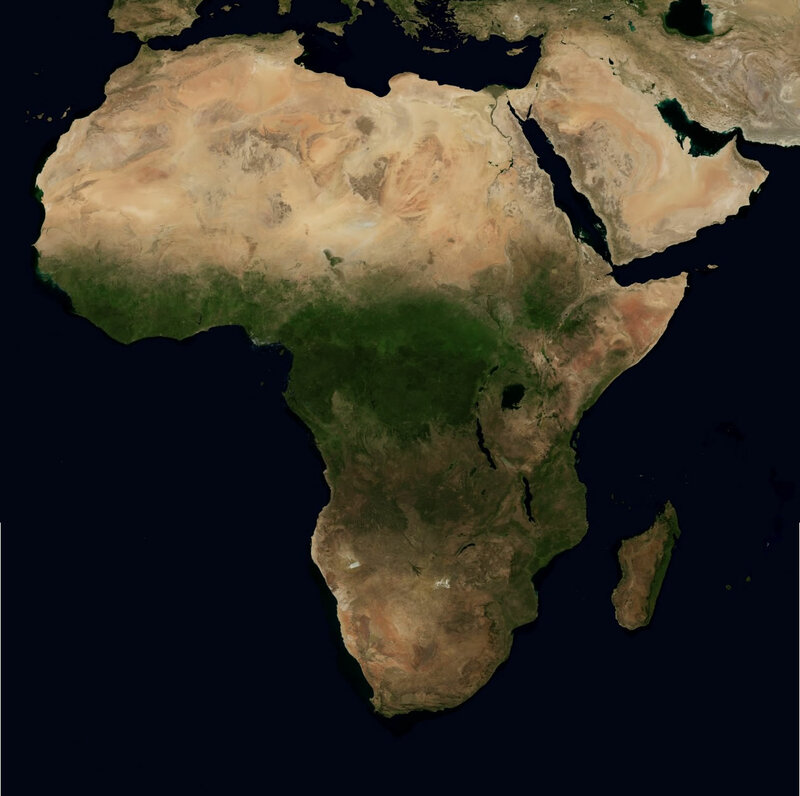 We have done a lot for our own people, but in Africa and places across the globe, there are people in their own cultures who are helping out as well. We need to see and tell the bigger story and give credit to those people who are living lives that will give back to their own cultures and industries. The world is changing, and our view of everyone out there needs to grow quite a bit. What are your thoughts? What did you think about the video?